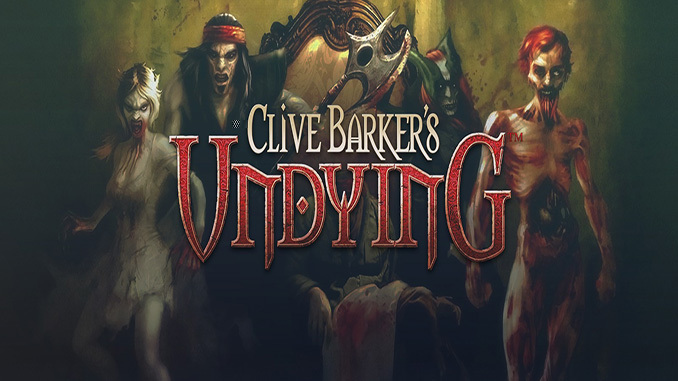 Welcome to Clive Barker’s Undying, a horrifying FPS romp of curses, strange, mad creatures, and family dysfunction gone terribly wrong. 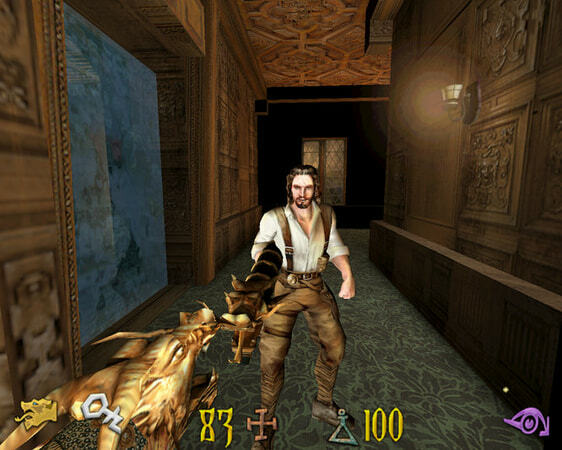 Step into the shoes of Patrick Galloway as you attempt to banish the evil using your arcane magic and the ever-dependable six shooter of metal grace. Pray to whatever god you believe in because this journey may end up costing your soul. First person shooter meets the contemporary master of horror fiction, don’t miss it! – Wage a holy war against things that should not be: relentless Jemaas Warriors, pack-hunting prowlers, and the mind-twisting Inhabitants of Oneiros. – Richly detailed environments that truly showcase the Covenant estate and its two parallel universes. – Collect an explosive arsenal, including the Tibetan War Cannon, the always dependable double barrel shotgun, and the Scythe of the Celt. – Powerful black magic at your fingertips! Blast your foes with spells such as Skull Storm, Lightning, and Ectoplasm. Windows XP / Vista / 7 / 8 / 10, 1.8 GHz Processor, 512MB RAM (1 GB recommended), 3D graphics card compatible with DirectX 9.0c, sound card compatimble with DirectX 9.0c, mouse, keyboard. Horror adventure, absorbing storyline centered around the dark arts. Horror/Fantasy write CLIVE BARKER adds his genius imagination, explore the breathtaking beautiful and terrifying Covenant estate every sibling has a distrubing storyline to uncover spanning irish countryside, Mansion, Gardens, catacombs, monastery, pirates cove, eternal autumn. An experience like no other will remain with you long after and you will play again and again, huge fan following you wont be dissapointed!